Royal Holidays Club offers you a Holidays Membership - the most ideal investment option for uninterrupted family vacations, years after years for the next 10 or 30 years with an assurance that you get to stay in a furnished apartment of your choice at a fraction of the cost compared to the room rates / tariff in exotic locations of your choice. 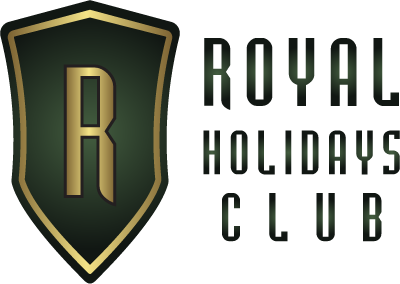 Along with a 10 or 30 year Holidays with Royal Holidays Club,we offer you a RCI membership which offers you a wider range of locations worldwide. Royal Holidays Club welcomes you to the world of leisure, where you will feel the experience, which is ever lasting. At the vacations, We take pride in helping you with what you want on a weekend or On a holiday! To deliver experiences that nurture relationships and contribute to a wholesome wellness lifestyles in a stress free, eco friendly environments to member community with a win-win situation for all involved in furthering the cause of such ecosystems.Royal Holidays Club Resort boasts of world class facilities and unparalleled services.We began with the vision to create a revolutionary new holiday experience for our member and the ever increasing number is the realization of that dream. The results are simply breath- taking and awe- inspiring. In addition to this, we are a certified Associate partner for Fort Chanwa Luni a perfect heritage and advantage for the city dwellers that look for extra edge of family entertainment and holiday options. Membership provides a wide range of advantages for the members,Free holidays to spice up the family fun like Resorts, hotels & Resort`s facilities like Indoor/outdoor games, party hall, Squash, Health club, and Events. Royal Holidays Club is a timeshare product from the Fort Chanwa Luni, a worldwide hospitality innovator. What makes this product different is that it allows customers to own tomorrow's holidays at today's prices, giving guests an experience of ‘Unforgettable Times’! Timeshare is currently the fastest growing leisure segment in the tourism industry. According to statistics there are over 350,000 families in India owning timeshare vacations and it is only set to grow. Royal Holidays Club has been able to create waves in the segment with its customer-centric approach that offers them an experience like never before. A Royal Holidays club Member is guaranteed of timely booking at any of their resorts in some of the best locations in India and abroad. In addition, they get a value-for-money package, which is an advantage in these inflation-ridden times. Resort Condominium International (RCI) is regarded as one of the pioneers in revolutionizing the timeshare concept. The RCI began operations in 1974 and has now grown into one of the largest timeshare vacation exchange network in the world. Fort Chanwa Luni’s association with RCI allows its customers to become an automatic member of this prestigious international network. This also enables them to choose from the worldwide network of resorts that are located in over 6,500 places spread across the globe in more than 100 countries. The resorts are situated in places right from Tahiti to Valencia in Spain and even in the Bahamas, thereby enabling members to take their pick from beach, family, skiing and even wellness holiday spots. Enjoying your Vacations with Royal Touch. © 2016 RH CLUB PRIVATE LIMITED. All Rights Reserved.